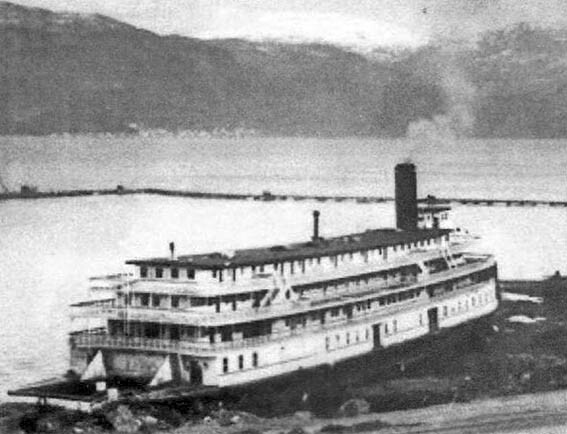 At the conclusion of the War, the Delta Queen was purchased and taken via the Panama Canal to the Mississippi River where she still serves. The engines of the Delta King were taken for spare parts. 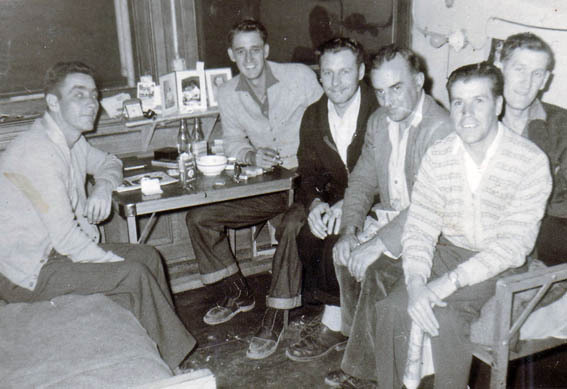 The King was shuttled between Canada and California as a derelict with hopes of becoming a floating Ghiradelli Square or Chinese Restaurant dashed at each turn by sinkings and litigations. 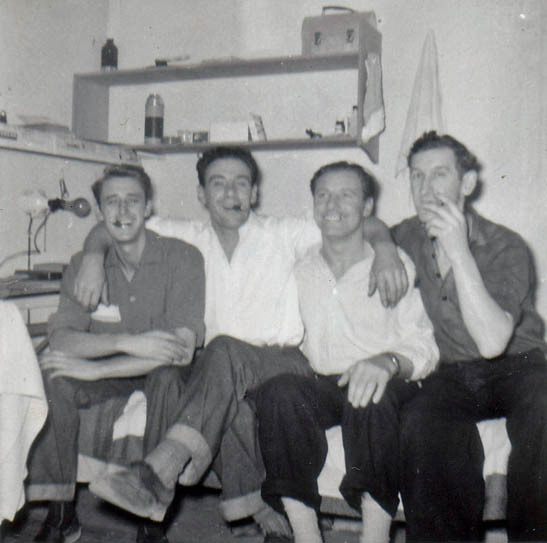 Editor's note: The following photos were taken in 1957 in Kittimat, BC, Canada, where the Delta King served as a dormitory for men working at the Alcan Aluminum Plant. 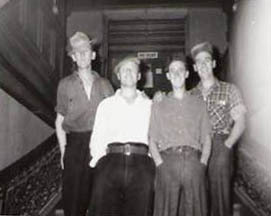 Photos generously provided by Thomas Mitchell. 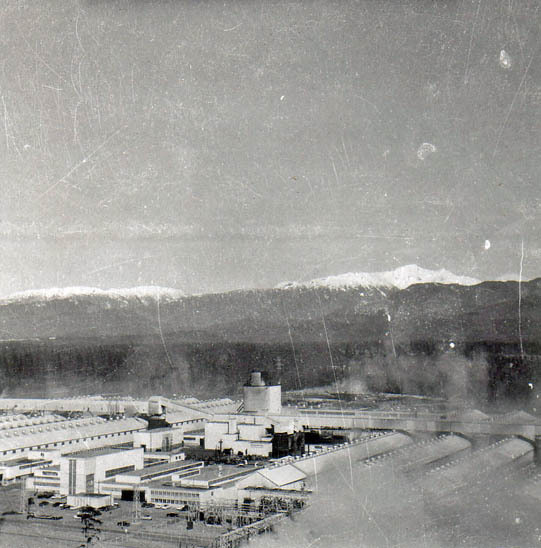 The Alcan Aluminium Plant, Kitimat, BC Canada, 1957. 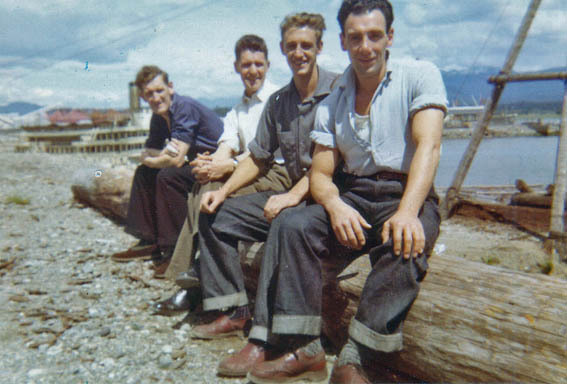 Delta King in background, Kitimat BC, Canada, 1957. 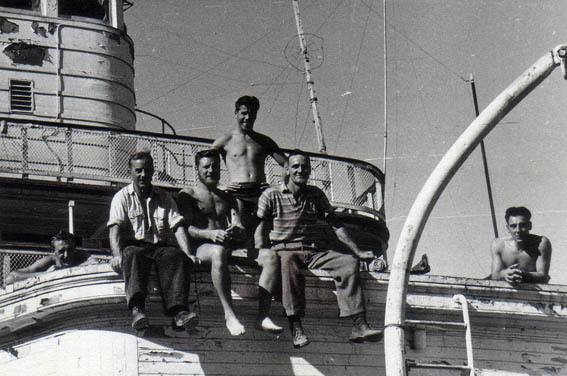 Taking in the sun on deck, Ralph Hamilton, Tommy Mitchell and unknown, 1957. 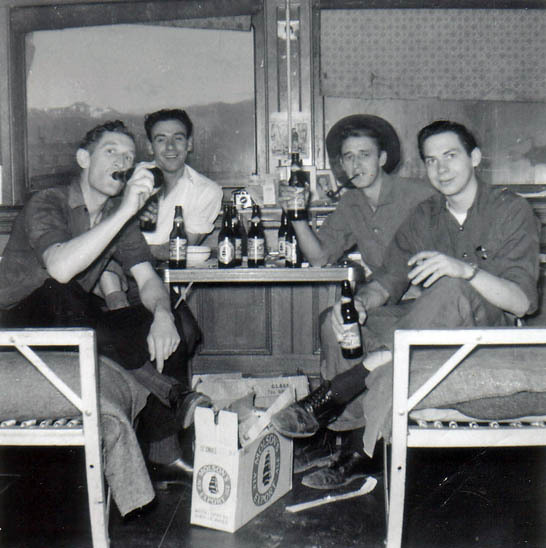 Relaxing after work in cabin, onboard Delta King, Kitimat BC, Canada, 1957. 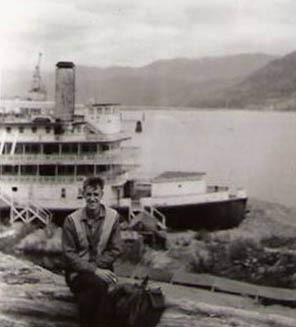 Delta King, Kitimat BC, Canada, 1957. 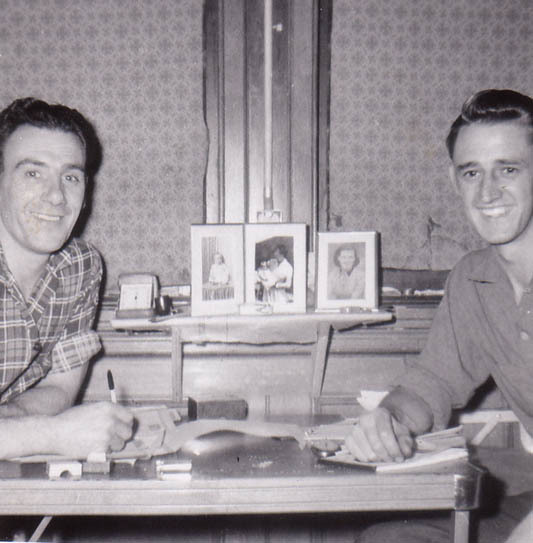 Ralph Hamilton and Thomas Mitchell in cabin onboard the Delta King, 1957. 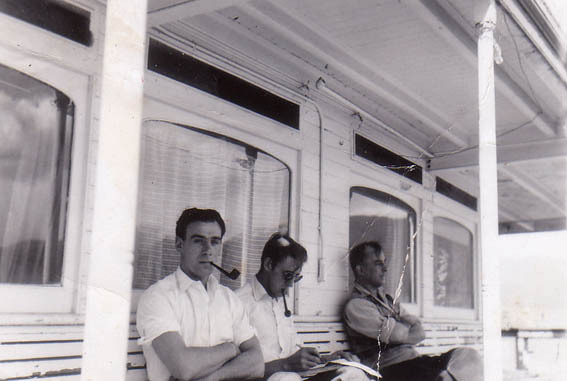 Relaxing after shift at Alcan Aluminium Plant, onboard the Delta King at Kittimat, BC Canada, 1957.